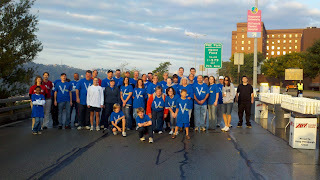 On Sunday, September 25, more than 40 Eat’n Park team members hit the streets for the City of Pittsburgh Great Race. No, we didn’t run it, but we did have a GREAT time volunteering! 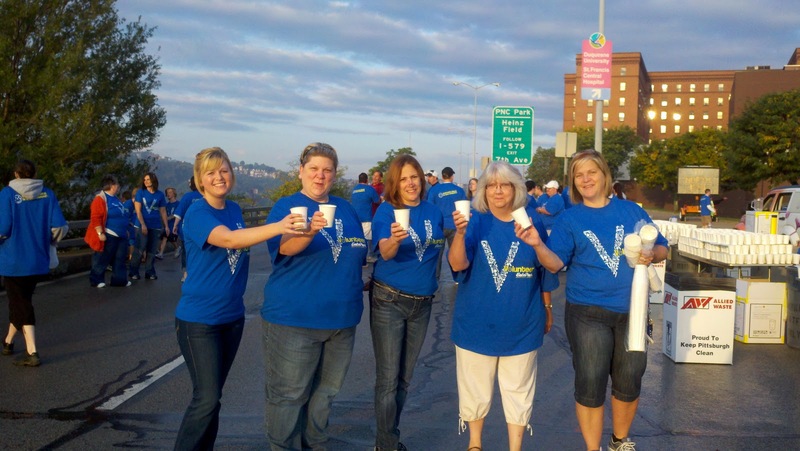 Our Eat’n Park volunteers passed out water to 14,000 thirsty runners at the Water Station on Blvd of the Allies near Mercy Hospital. Plus, another group of our volunteers greeted runners at the end of the race with congratulatory Smiley Cookies. We look forward to the Great Race every year and it’s a favorite with our Eat’n Park team members. Our entire Eat’n Park District Management team, including our Senior Vice President of Operations, Mercy Senchur, comes out to cheer on the runners at the Water Station. 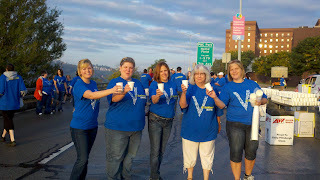 In fact, this team from Eat’n Park volunteers at this very same Water Station every year. We love cheering on runners with an encouraging word and, of course, a big smile!